Brokers and analysts serve different parts of the investor community. Stockbrokers and financial analysts perform different functions in the investment marketplace, but both are important to investors. The essential difference between stockbrokers and financial analysts is that stockbrokers work with individual investors who invest their own money, while financial analysts work with large institutional entities that invest money entrusted to them by other people. A financial analyst researches the financial workings of one or more companies or industry segments through financial statements, annual reports, tax data and other material. He uses his research to develop an understanding of how a company or industry makes and loses money and uses that understanding to forecast future profits and growth. Financial analysts typically are employed by large institutions, such as pension funds, investment banks, commercial banks or insurance companies, to make recommendations on the best places to invest money. A stockbroker is a financial sales agent who buys and sells stocks, bonds and commodities for individual clients and keeps track of the clients’ investment portfolios. Stockbrokers also provide personal consulting services to investors seeking advice about financial planning. In that role, brokers help their clients define their investment goals and give advice on how to safely reach those goals. Brokers may work independently or for a brokerage firm. Unlike stockbrokers, financial analysts don’t actually trade securities. Instead, they make presentations to current and potential clients of the institution employing them. Analysts also issue research reports for the general investing public on the companies or industries they follow. 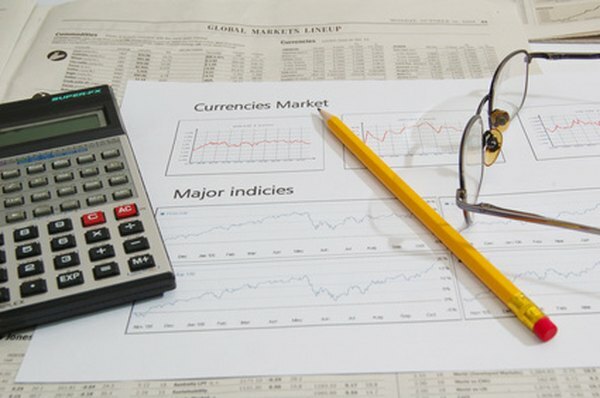 A research report on a company or industry from a financial analyst of good reputation can have great impact on securities markets. Stockbrokers may use financial analysts’ research reports when making financial plans for their individual clients. Would-be brokers and analysts typically obtain bachelor’s degrees in a business or finance field. Stockbrokers and financial analysts are subject to industry and government regulation. Financial analysts are licensed by the Financial Industry Regulatory Authority, an independent regulatory entity that polices the investment industry, after passing exams. Analysts may seek additional certification from the Chartered Financial Analyst Institute after extensive training. Stockbrokers are licensed by the securities regulatory agency of the state where they are based, after passing licensing exams. Brokers also must register as a financial sales agent with the financial regulatory authority. If the accounts under a broker’s management exceed $110 million in value, the broker must also register with the U.S. Securities and Exchange Commission. Why Does My Financial Planner Need a Broker-Dealer?